I’m always looking for new professional development strategies that respect teachers’ busy schedules and provide tools, tips, tricks, and strategies that teachers can implement right away Anyone who has spent any time in a school knows that on most days teachers barely have time to go to the bathroom. Fortunately, a combination of biology, hygiene, and basic decency requires that they are afforded a few brief opportunities to do one thing no matter how busy their days are. 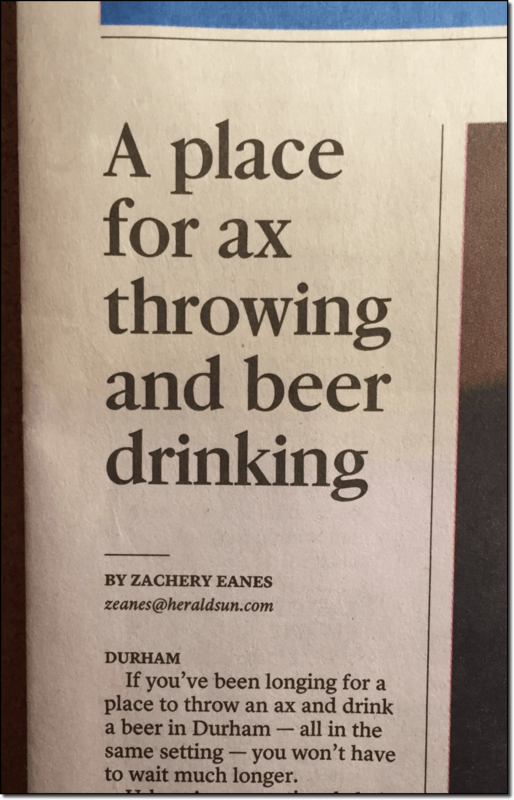 I was in the restroom at a restaurant while attending last year’s NCTIES Conference when I read the article in the pictured here. 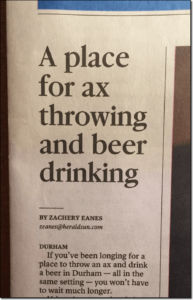 Now a catchy headline helps, but I’m not sure this is an article I would never have stumbled across had it not been for the fact that it was the only piece of information directly in my line of sight. Not long after my unique literary experience, I came across a tweet from Kathi Kersznowski about the awesome things she was doing with #LearningInTheLoo. That’s also where I got the “Tissue” thing from. 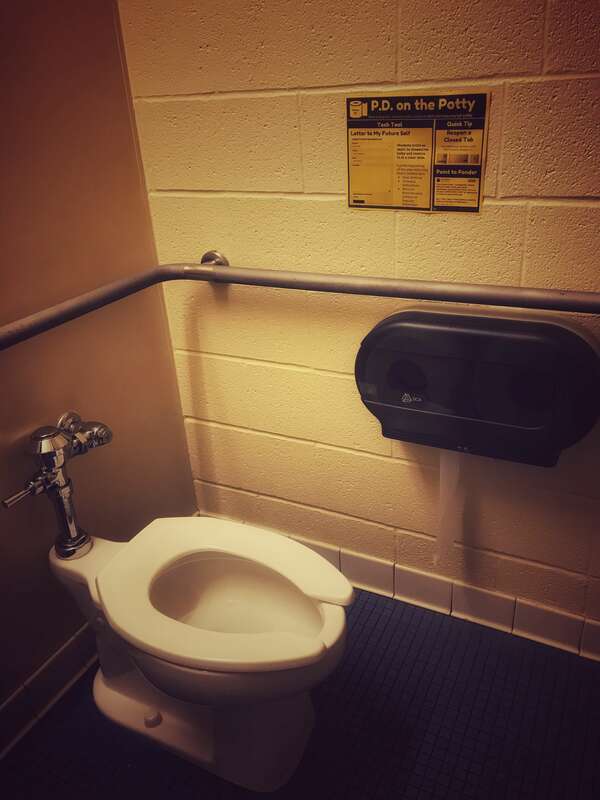 While the toilet might seem like a strange place for professional development, and it would be almost impossible to track renewal hours, it strikes me as a great opportunity to share ideas with a captive audience. Each week I will hang a new issue, or “tissue,” of P.D. on the Potty at eye level across from the toilet in each of our faculty bathrooms. These one-page newsletters will expose teachers to tools, tips, strategies, and points to ponder. I have no doubt that, like all good things in education, the format will be subject to continuous revision. I’ll also provide an online, clickable version (see below) at EdTechPicks.org/PD-Potty. I have designed these using Google Slides with an 8.5×11 layout and gray-scale in mind so that they are easy to print on a black and white printer (I use a different color of paper each week) and to make them easy to share online. While tape has worked so far, humidity, the fear of peeling paint, and aesthetics make a set of acrylic sign holders a better option. Be sure to check out each week’s edition of P.D. on the Potty at EdTechPicks.org/PD-Potty. I’ll also share it on Twitter (and possibly Instagram – although I’m new to the platform) using #PDonThePotty.